Maxwell Hodge will support EitC to help raise funds for a new permanent purpose-built mental health facility called “The People’s Place”, whilst also assisting on some of the many projects that they run. “The People’s Place”, which will be located just 500 metres from Goodison Park, will provide mental health services to those seeking support, regardless of their age, gender or location to the facility. The facility will also offer support relating to suicide awareness and prevention as well as signposting individuals to the charity’s existing mental health programmes. Each year, 1 in 4 people experience poor mental health, and those seeking support is at an all-time high. EitC’s aim is to promote positive mental health and end the stigma surrounding this taboo subject. Maxwell Hodge is delighted to be partnering and supporting this part of the charity which, over the last ten years, has already delivered award winning mental health provisions across Merseyside. 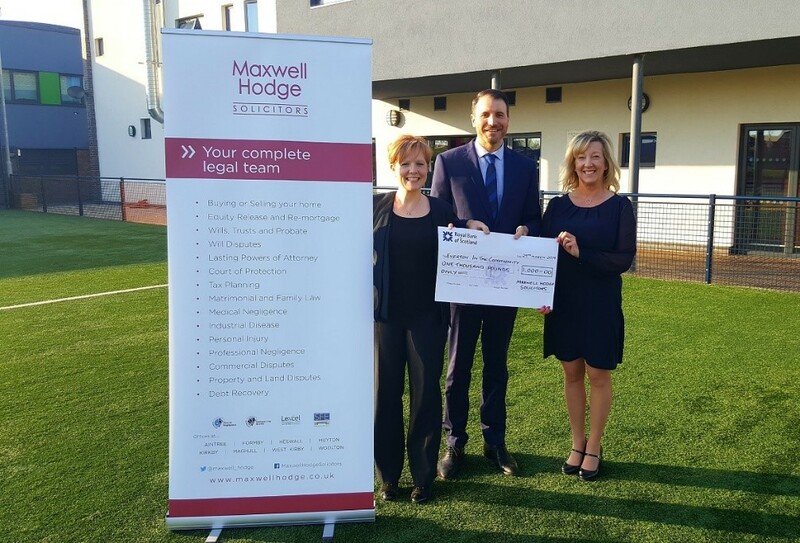 Maxwell Hodge recently attended to present a cheque for £1,000, to kick start its fundraising for “The People’s Place”. Throughout the coming months, Maxwell Hodge will be hosting various fundraising events to raise further funds for this fantastic charity.